Kipinas Monastery is one of the most impressive monasteries in Greece. For sure the small church made of wood and stone, built inside a rock will leave you speechless. The monastery was built about 1212 AD. 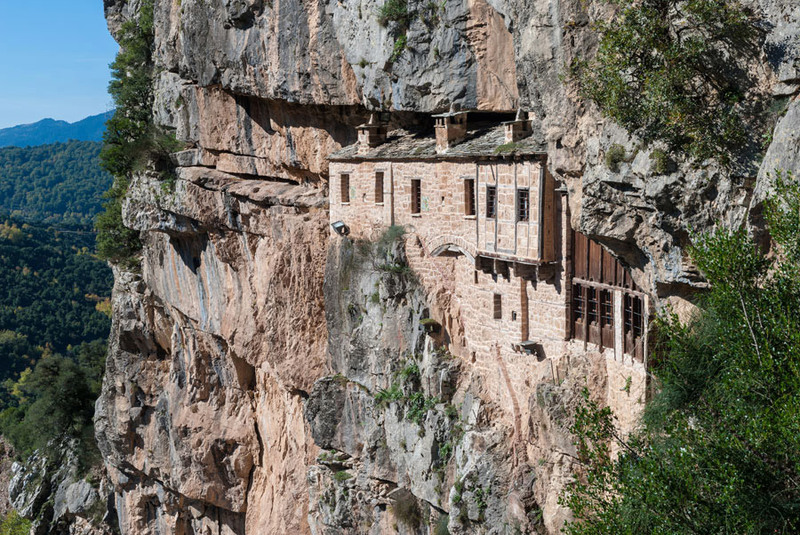 The road reaches the base of the cliff and then, if you want to go to the monastery, you must follow a path carved into the rock and a wooden bridge. During Ottoman Empire, the monks raised the wooden bridge to be protected from the raids. The small church of the monastery is filled with beautiful 17th century frescoes. Visiting Kipinas Monastery is one of the must do things, if you visit Ioannina. It is an experience you will never forget! The monastery is located in Kalarrites Tzoumerka.